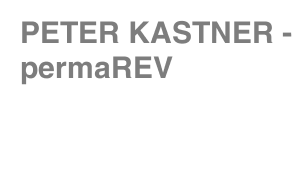 The ongoing project "Erforschung der permanenten Revolution" (research for permanent revolution) was started in 2009. 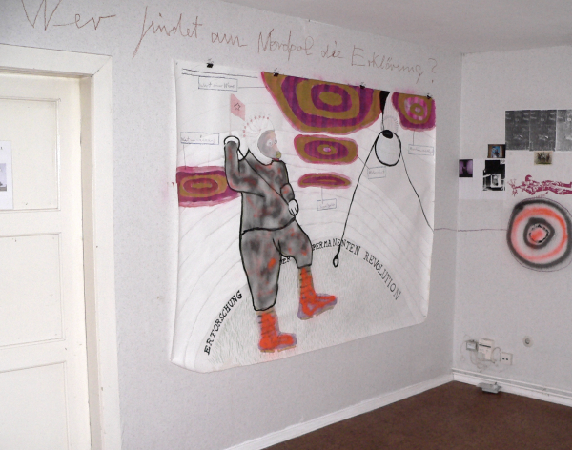 So far the project contains the never finished installation "Das Labor" (The Laboratory) and different permaREV Bilder (paintings), permaREV Zeichnungen (drawings) and permaREV Platten (records). is dedictated to daily change (the revolution: progress, regression or what ever it means ... the good and the bad are not so evident anymore) and avoids a style.